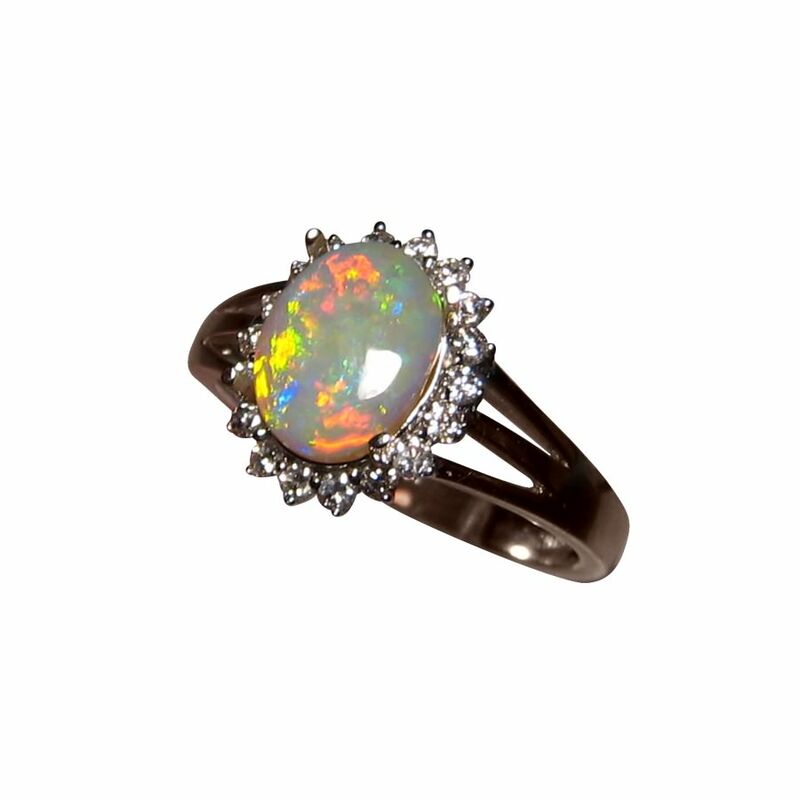 A quality Opal and Diamond ring with an oval Crystal Opal accented with a halo of 18 Diamonds in 14k Gold. In stock and ready to ship. 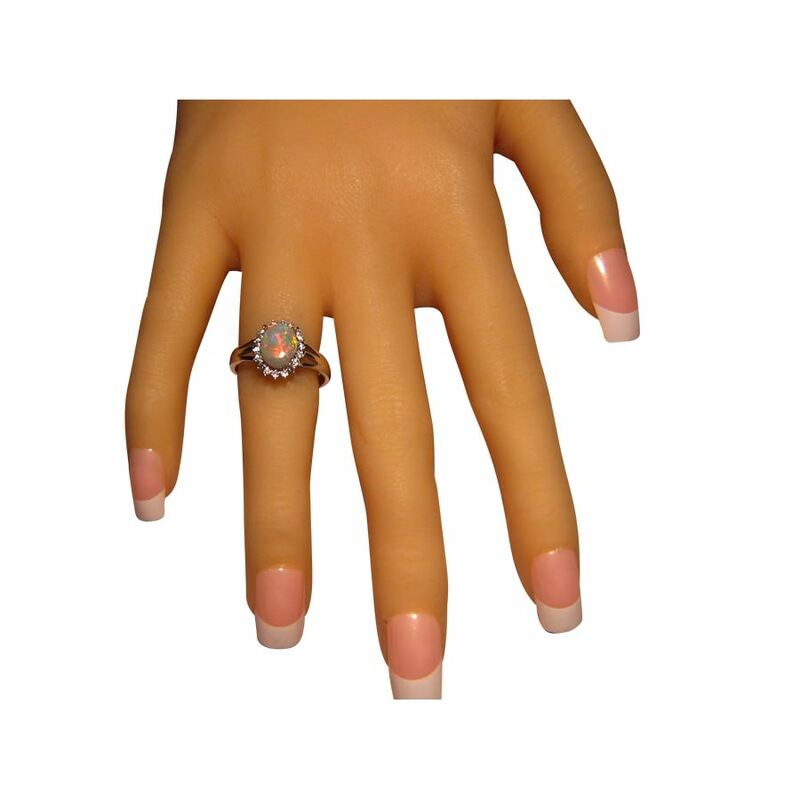 An elegant Opal ring suitable as an engagement ring or to wear at any time. 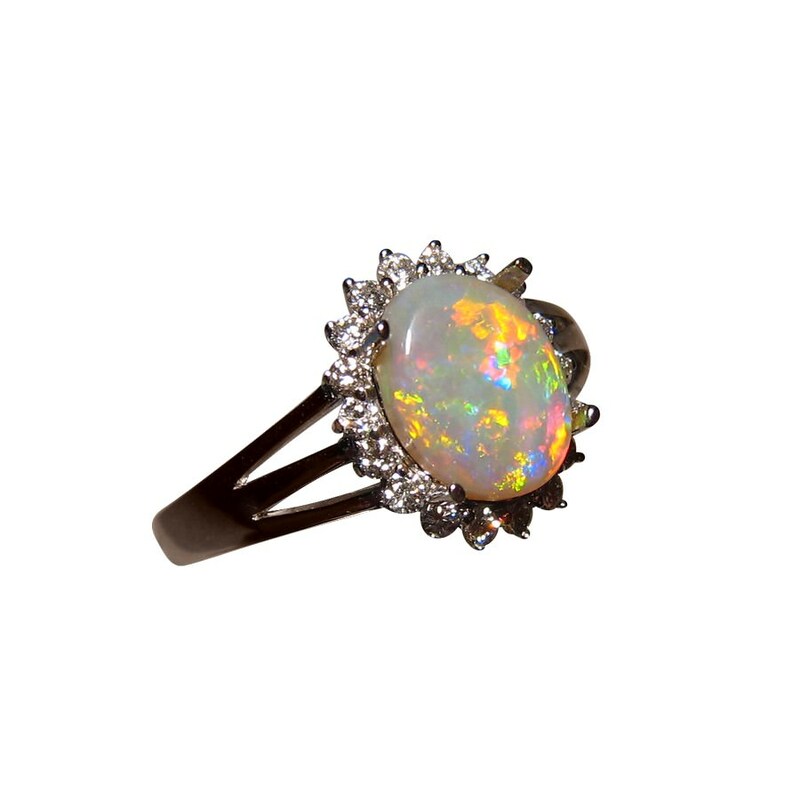 The ring is prong set with a bright Crystal Opal from Coober Pedy that weighs just over 1 carat and flashes a mix of colors in a lively pattern best viewed in the video below. 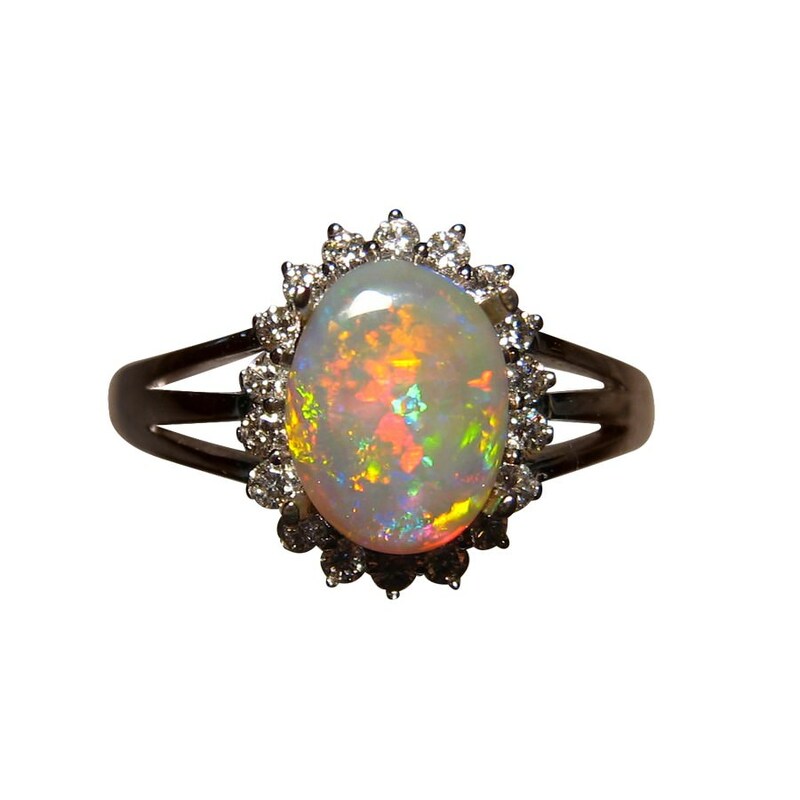 The Opal is surrounded by a halo of 18 bright white Diamonds adding size and sparkle and is shown in 14k White Gold however as the Opal is not yet set, the ring can be made in any ring size or Gold color. A beautiful Opal ring that is ready to ship as detailed below or will take about 21 days to make if any changes are needed.